As we end the month of April 2011 we couldn’t let it pass by without a little celebration of a studio complex that earlier this month celebrated fifty years of regular television production. Yes the BBC Elstree Centre, in Borehamwood, was officially opened on April 7th 1961 by the Rt. Hon. Charles Hill – who was at that time the Chancellor of the Duchy of Lancaster. BBC Elstree had spent many years prior to television as a film studio dating back to 1914. The Neptune Studios were home to a number of movie companies including Neptune Films of which the complex took its name, followed by Ideal Films and finally British National Films. The studios lay un-used for five years before being briefly home to a new type of movie – those especially made for television broadcast. Renamed the National Studios they were once more in operation between 1953 and 1958. These ‘for TV’ films were made by Douglas Fairbanks Jnr for American broadcaster NBC. When ITV launched in 1955 edited versions of these programmes were aired by Rediffusion Television for the ITV network. In 1958 ATV bought the complex with the intent of carrying on initially as a film for television studio centre. ATV paperwork of the late 1950s shows that the company was still undecided on where to build their television facilities which were to replace several converted theatres in the London area – these were being used as make-shift television studios. He added: “The consolidation of the London production facilities has been consistently postponed until the company’s financial position warranted the expenditure involved.” In the same speech Littler noted the ATV Midland facilities would be improved – although the main studios there would continue to be based in a former theatre until 1969! In 1960 ATV decided against purchasing land on the Southbank in South London and instead felt it would be more cost-effective to convert part of the National Film Studios at Borehamwood into fully equipped television facilities. Another consideration was that the site at Vauxhall was proving a problem to obtain planning permission. The television studios were partly designed on production facilities in North America and boasted “many new and valuable devices”. The ATV Elstree studios were proud to state, they had by the opening day in 1961, broadcast and recording facilities for both the British system as well as the USA and Canada standard. This lead to some programmes having two crews – UK cameras and USA cameras running side by side! When the ribbon was cut at ATV Elstree on April 7th 1961 there was still work to be done, a further two studios , A and B, were still under construction. The press release states: “The second pair of studios will go into operation this autumn. These two further studios are planned to be even more advanced than the two now in operation. In early 1962 the central technical area will be complete. It will contain all the equipment necessary to coordinate the TV activities including the recording on telecine, videotape and film.” The total studio space with A, B, C and D combined was an impressive 340,000 sq. ft. The ATV Elstree Centre may have officially opened in April 1961, however as far as television viewers were concerned it wasn’t business as usual. A strike by staff at the complex took all the live programming from the centre off the air on that date. The studios had been producing, unofficially, shows since November 1960. Prior to the official Elstree launch the complex had already been host to one unexpected strike by technicians. The first walk-out took place earlier in the same week at the Elstree press launch. The second walk-out took a live episode of medical drama Emergency Ward 10 off the air when 40 crew members refused to work. Those in dispute with ATV included cameramen, lighting and sound techs who were all part of the ACTAT Union. ATV Elstree produced some of the best known ITV television productions of the sixties and seventies, it also boasted a host of productions made for broadcast in the UK and America. This would lead to ATV’s downfall as an ITV broadcaster, when the company was accused of being more interested in creating programmes for Birmingham Alabama, rather than Birmingham West Midlands. 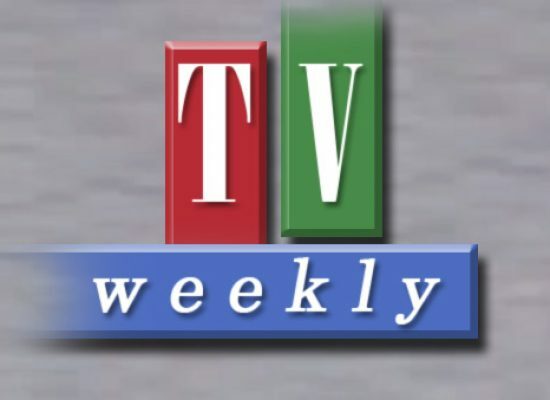 Today of course ATV would be seen as a leader in its market. Back then the regulator, unlike today, cared about local ITV and clipped the company’s wings. Under ATV’s management it wasn’t just television shows that the ‘entertainment studio’, Studio D, was home to. In 1966 a celebratory luncheon was hosted in the studio for the World Cup Winners, the England team’s meal of course was also transmitted live to viewers keen to see the nations heroes. Eamon Andrews fronted this event. Another lunch held in Studio D happened a year later in 1967 when ATV Network was issued with a Queens Award to Industry – the first time an entertainment company had been issued such a gong. In 1979 ATV Network started plans to give a new lease of life to ATV Elstree in the 1980s. The regulator had published plans to launch a new ITV breakfast service. ATV founded a spin-off company, Daybreak Television Limited, and submitted plans in 1980 to use Elstree as the base for the Daybreak programme. In the end ATV were unsuccessful with TV-am winning the contract. This decision would lead ultimately to Elstree leaving the ownership of ITV. In 1981 ATV Network went off the air, however, ATV Elstree continued to be used by incoming – and at that time part owned by ATV – Central Television who continued to produce ITV programming at the complex until 1983. Central re-located to their newly built white elephant in Nottingham – selling ATV Elstree to the BBC in the same year. And the television success has continued with the corporation who continue to use the facilities, producing some of the nations most popular programmes at the studios now known as BBC Elstree. Before Coronation Street was given its own outdoor set ATV’s East End saga Market In Honey Lane (later just Honey Lane) was the first UK serial to be given an open air backlot to add realism to the proceedings. Launched in 1967 Honey Lane was based on a real London street market – which creator Louis Marks’ wife had lived nearby in her youth. The show followed the lives of the residents of the market street as well as the traders who worked on it. It starred John Bennett of the original Forsyte Saga and Ivor Salter of Crossroads fame. Today where EastEnders’ Queen Victoria pub stands there once stood The Duchess of Verona Inn of Honey Lane. ITV’s first medical serial launching in 1957. It moved from a theatre in Wood Green to ATV Elstree in 1961 and remained in production until 1967. The storylines concerned the doctors more than the patients and medical procedures were secondary to the love life of the doctors and nurses. Based at the fictional Oxbridge Hospital it made a television heartthrob of Richard Thorp who played Dr John Rennie, Richard now best known as Alan Turner in Emmerdale. The series also launched two spin off shows which were also produced at Elstree – Calling Oxbridge 2000 and 24 Hour Call. In 1988 the wartime sitcom ‘Allo ‘Allo moved from the BBC’s Television Centre to Elstree when, with hopes of a USA deal, the BBC commissioned 26 episodes. With more space to play with the outside set of Café Rene became a semi-permanent structure in the former ATV Garage building. ‘Allo ‘Allo starring Gordon Kaye as Rene revolved around his efforts to assist the resistance in getting two British airmen out of Natzi occupied France and back to England. The farce ran for over eighty episodes between 1982 and 1992. The ATV game show was based on the Merrill Heather and Bob Quigley devised American show, Hollywood Squares. The format of the show was basically Noughts and Crosses with famous faces thrown in for good measure. Two members of the public, one playing as the circle – the other as a cross, would pick one of nine celebrities who were sat in a large row of boxes, three-by-three, to answer a question. If the star got the question right that box became either a cross or a circle depending on which contestant was in game play. Whoever was first to get three in a row, or won five boxes won the round. The UK version was fronted by comedy legend Bob Monkhouse. The follow up to drama The Plane Makers, which had also been produced at Elstree, revolved around the big business deals of mogul John Wilder, played by Patrick Wymark. Later series were produced at ATV’s Birmingham Centre however the outside HQ of Wilder’s empire was the ATV Elstree office block throughout. A year before Grange Hill launched in 1978 ATV had already produced a gritty teenage school-leavers series, A Bunch Of Fives at the Elstree centre. However its BBC counterpart wouldn’t arrive at Borehamwood until 1985. The BBC built an exterior set for the school in the grounds of the Elstree complex, it was demolished in 2002 after the BBC angered the shows fans and allowed the production to move from London to Liverpool when the shows creator Phil Redmond took over production. Grange Hill never really recovered from the move and it was ditched in its 30th year. Elstree was home to many music moments and series over the years. From Dusty Springfield to Engelbert Humperdinck, The Beatles to Sammy Davis Jnr and specialist shows to boot. Jazz, Motown and musical numbers have all been played in Studio D. For the Bing Crosby festive special an entire olde England village was built on the backlot! However one of the biggest hits of the late 1960s and early 1970s was This Is Tom Jones as the Welsh vocalist recorded his music, chat and variety series here. The show was one of the many to have ‘two crews’ originally as black and white cameras recorded the programme for ITV and colour ones recorded the show for America. This is Tom Jones was nominated for a Golden Globe Award for “Best Actor In A Television Series – Musical Or Comedy” in 1969. It had been home to some of the biggest names in show business during its ATV years. The first show for the BBC produced in Studio D however wasn’t so glitzy. The European game show Going For Gold went into production in 1986 and ran and ran. Hosted by Henry Kelly contestants from across Europe (who could speak English) battled through rounds of questions (and some trying to understand the questions) and cryptic clues. Yes there was a time when ITV went off air in the afternoon. No endless re-runs of Midsomer Murders or gutter-level ‘debate shows’. Yes it wasn’t until 1972 that ITV decided to give television viewers the option to stay tuned throughout the afternoons. With more hours on air they had to find more programmes to fill the slots, General Hospital was one such show. The twice weekly goings on at The Midland General, like Emergency Ward 10 before it, followed the lives and loves of the staff at the medical complex with patients and their storylines playing out in second place of importance. Despite being set in a Midland town the series was produced from 1972 through to 1979 at Elstree. The exterior also partly used as the hospital buildings. 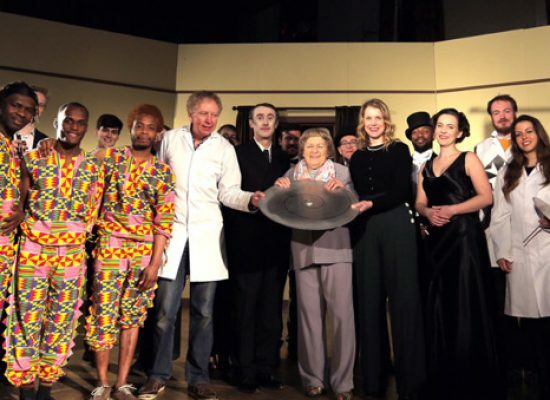 The show’s top star was Tony Adams as Dr Neville Bywaters. The Muppets were given their own show in 1976 by ATV after the American networks turned down creator Jim Henson’s idea for an evening entertainment show. Bosses in the states felt that The Muppets were more for children rather than a family audience. Lord Lew Grade however saw the potential and soon Kermit the Frog, Miss Piggy and Fozzie Bear were entertaining millions of ITV viewers. Set in a music hall theatre The Muppets would perform songs and sketches to their Muppet audience. A host of star names also guest starred including Elton John and Roger Moore. The show was produced in the UK until 1981. In 1981 ATV embarked on a sitcom based around a family, the Harvey’s. Set in 1945 the story follows the head of the household returning from war to his East End London home where he tries to settle back down into ‘everyday’ life. The first series was given a studio audience (or possibly laughter track) with the emphasis more on the humour than any dramas. The first series of six half hour episodes were transmitted in 1982. Central Television took over the production for series two onwards and transformed the show into a comedy drama, increasing the format to an hour and ditching ‘the audience’. This fantasy series, with a touch of science fiction for good measure, starred David McCallum as Steel and Joanna Lumley as Sapphire. The duo battling evil, as always, and protecting the world through time travel. The show ran from 1979 to 1982, when Central Television took over and decided that its dramas should be earthy, gritty and serious and in no way fantasy or sci-fi – after all that was far too much like ATV and that just wasn’t right in the serious 1980s. Thankfully for ITV the bosses of Central Television and their serious gritty mantra hadn’t been put in those positions of power back in the mid-1970s and so ATV was still able and allowed to provide viewers with some slapstick comedy courtesy of the Carry On team. ATV took many of the personalities of the Carry On movies and placed them in half-hour comedy situations. Famous faces from the films who starred in the production include Sid James, Barbara Windsor, Bernard Bresslaw, Joan Sims, Kenneth Connor, Jack Douglas and Hattie Jacques. This is what viewers want proclaimed incoming Central Television – who seemingly hated anything ATV had previously produced and either axed it or sabotaged it off the screen as quick as possible. Forget soap operas (Crossroads) forget cheerful children’s shows (Tiswas) forget fantasy (Sapphire and Steel). It was time for gritty, working class comedy drama with a group of bricklayers searching for a better way of living in Germany. Of course Auf Wiedersehen Pet is a great series, it does however represent an era of Central that didn’t quite understand that television companies should be producing all kinds of programming for all kinds of people. It was one of many ‘down to earth’ productions by the company in the early 1980s. Only the first series of the show which starred Tim Healey, Jimmy Nail and Timothy Spall was produced at Elstree. In total five series were produced, two for ITV and later the BBC produced the further three. New Years Day 1964 was the date that Top Of The Pops launched on the BBC from a converted Church Hall in Manchester. It would of course go on to become the world’s longest running music show. Its most fondly remembered years are the ones when it was produced at the BBC Television Centre in the 1970s and early 80s, however Elstree played its part in the history of the chart show countdown. In the summer of 1991 Top Of The Pops relocated to BBC Elstree’s Studio C when EastEnders vacated it to move into their specially created ‘Stage One’ which was constructed in the old ATV Garage building. The music show remained for a decade before returning to TV Centre in 2001. The idea to make Family Fortunes was first mooted to ATV in 1978 after an executive had seen the original format Family Feud in America. The ABC TV original aired in 1976 and was devised by Mark Goodson and Bill Todman. The format sees two families, of five members each, provide several answers to a single question per round. The answers to the questions are gathered from surveys of 100 people. In the UK the show was commissioned in 1979 and hit the air in 1980 as a replacement to Celebrity Squares (it was cheaper to make without so many star-fees to pay). Bob Monkhouse once more presided over events. Family Fortunes continued on ITV until 2002, and returned in recent years as Celebrity Family Fortunes. The longest running British host to date is comedian and actor, Les Dennis. The BAFTA award winning series (best drama of 1975) was based on the biography of Edward VII by Philip Magnus, the ATV drama starred Timothy West as the elder Edward VII and Charles Sturridge as Edward in his youth. The drama charts the events that shaped the royal family through the life of Edward VII from his youthful years to his death in 1910. Other dramas at ATV Elstree which had lavish sets constructed include Clayhanger (including a back lot street set), Disraeli and Hamlet. With the previous medical drama history at Elstree it was only a matter of time before it would become home to a BBC hospital saga. Holby City, a spin-off from Bristol produced Casualty, was launched in 1999. Set in the same hospital as its emergency department elder Holby City focuses more on the general hospital wards. The production doesn’t use a studio at Elstree and instead former office space in Neptune House has been refurbished to look like a real life hospital and its wards. EastEnders as a registry office numerous times, it was the hospital buildings for Emergency Ward 10, General Hospital and Holby City. It was the office block HQ in shows The Power Game, UFO and The Plane Makers. The grounds featured in the Doctor Who story The Greatest Show in the Galaxy. It’s also starred in such shows as This Is Tom Jones, The Des O’Connor Show and Hunter’s Walk. Happy Anniversary Elstree, the Borehamwood home of ATV, Central and BBC TV. A photo special looking back at the complex during its ATV Years can be seen here.